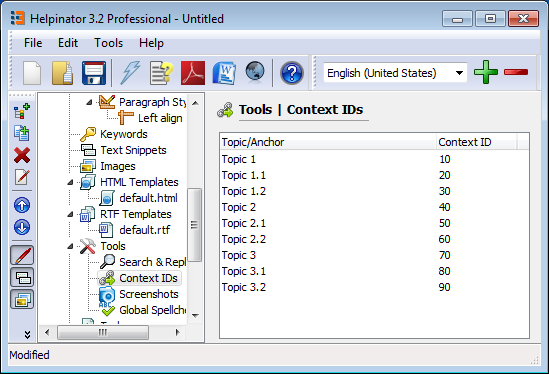 With “Context IDs” tool you can view and edit all Context IDs assigned to topics in your project. When you edit Context ID value in the corresponding column changes automatically propagate to topic itself. Now you don’t need to browse through topics when you need to change all or several Context IDs and once. 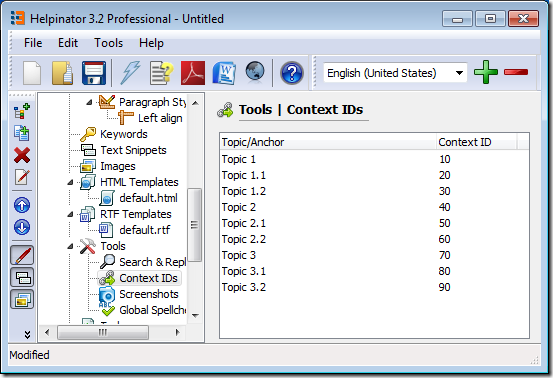 Note that you can use “Topic Titles and Ids” report to print context ID of all topics in the project. Also you can automatically generate header files for C++, VB and Delphi with topic identifiers and Context IDs using “Main Menu->Tools->Generate headers”.